IT professionals know all about the rise of cloud computing. Automation is becoming the norm and computer infrastructure isn’t relegated to one physical server anymore. But with so many configuration management tools to choose from it can be tough getting started. 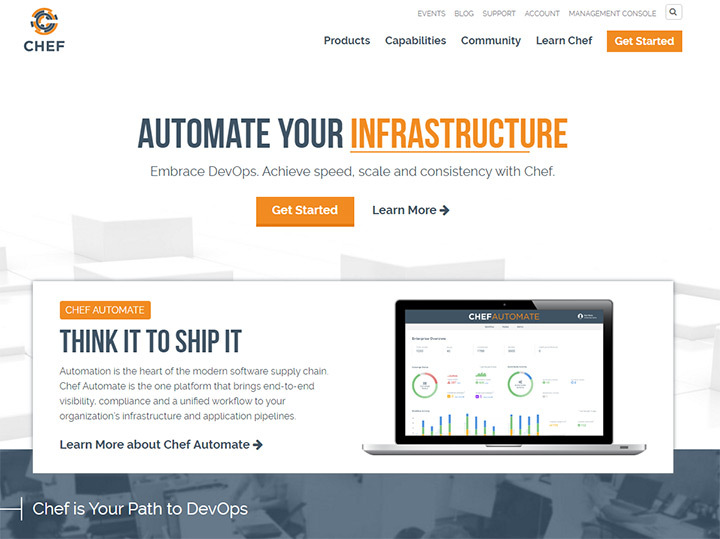 Chef is one great option that can help automate your infrastructure and get you moving onto more vital tasks. It’s really hard to find an introductory book on this topic, but I think I’ve found one. Chef Essentials teaches you everything from installing Chef to deployment automation in your server environment. You don’t need much of a background in Chef to get started. The book holds your hand and teaches you all the fundamentals you need to know to be running with Chef automation. This is one of the shorter Packt books that I’ve seen coming in at only 196 pages. It covers all the basics of Chef from installation to maintenance and automation. You get eight unique chapters with detailed sub-chapters inside. Everyone in IT wants to build services that they can handle themselves. Great infrastructures should be repeatable and programmable to do whatever you need. The Chef Essentials book teaches you how to do this the right way. You get started with basic server setup and configuration of the Chef server. The initial chapters teach how to install Chef via Ruby and configure the server. You then learn server roles and data configuration. These first two chapters set the tone for the rest of the book. You learn configs for a single physical server environment along with server clusters. Virtual machine modeling and cloud computing are the bigger topics that come later. In the third chapter you get into EC2 and Rackspace cloud hosting automated with Chef. This is crucial if you’re serious about cloud computing for server administration. Chapters five and six cover patterns and recipes that you can reuse over and over. I think the author went a little light here because I was expecting much more detailed explanations for each recipe. But he does cover writing your own recipes and saving these for future automation which is crucial to the IT/server configuration pipeline. You’ll then learn about basic deployments, testing, and some other nifty goodies to help build your Chef cookbook. I was initially confused about the difference between Puppet and Chef because they both help with automation. But this book cleared up my confusion quickly. It seems Chef is much more hands-off and well equipped to scale huge enterprise services with ease(ideally). This book is the perfect primer to get you started with Chef. It is definitely a beginner’s book and the content is not extensive enough to warrant a reference guide. But if you follow the material in this book you will learn all the basics of Chef to get started with configuring server environment automation. Chef Essentials teaches you how to intelligently manage a server infrastructure based on any number of common configurations. I think the author’s writing style is easy to understand along with the Ruby code snippets. I also love the real world examples provided in chapter three with Amazon EC2. Cloud computing is a rapidly advancing future of web hosting and I was thrilled to see this in action. You learn the manual processes and how to automate these processes to deploy new projects at the click of a button. This is powerful stuff and by the end of this book you’ll probably learn a lot more than just the basic essentials. Unfortunately I noticed some of the code snippets are a bit outdated. This is understandable because the book is about ~2 years old at my current time of review. However It’d be great to see an updated version of the book released at some point. I also think the automation chapters with recipes in ch5 and ch6 were confusing to follow. Not because they didn’t work, but because I didn’t fully understand the purpose of creating these recipes until later in the book. The author could have explained why recipes are so important and how they function in greater detail before pushing readers to start building them. Other than these minor complaints I think the book covers all the primary topics you need to learn Chef from scratch. I do wish the book covered cloud automation in more depth, but I understand this is a beginner’s book. If you’re looking for advanced automation check out the Chef Infrastructure Automation Cookbook. Server automation is a growing area of study with new tools and techniques emerging every year. There’s no way to always have the most updated content and resources for this stuff. 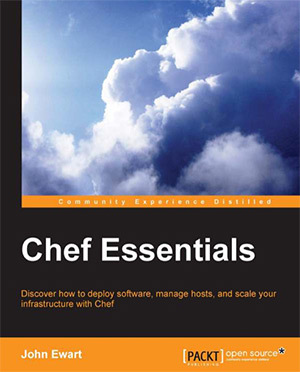 But Chef Essentials will push you on the right track and lay the foundational knowledge to help you understand more complex tools in the server config workflow. Anyone looking into Chef should know that it’s predominantly based on Ruby. This is Apache licensed and it can help to automate your server infrastructure in many ways. However you do need to have some Ruby knowledge before diving into this book. Chef Essentials will teach you everything about Chef from basic configuration to detailed automation. If you’re brand new to configuration management tools and server automation then you’ll love this book. You do have a ton of alternatives to pick from. But Chef is a tested option and it’s pretty simple to get up & running. Anyone in the IT/DevOps side of server management will definitely be interested in automation. It’s a tricky subject if you’re starting from zero knowledge. But everyone has to start somewhere! This book teaches in such a way that you learn how to do things by hand, then automated, learning both sides of the process. Definitely a valuable skillset to have. Great book, great technology, and decent writing style. The author clearly understands Chef and tries to explain the most important features in a way that should make sense even to inexperienced server admins. I was hoping to see more examples and possibly more detail regarding automation. The recipes are great and the AWS/EC2 cloud hosting example was fantastic. But while this is an “essentials” guide I really hoped it would’ve been longer. Chef Essentials should be mandatory reading for beginners but it’s definitely not going to push you far enough. It’ll guide you in the right direction, but config management and server automation topics get pretty detailed in real scenarios. Two follow up titles I’d recommend to help you go further are Customizing Chef and the Chef Infrastructure Automation Cookbook. But Chef Essentials does offer the best introduction to Chef for configuration & automation so it’s a worthwhile starting point.